Easy, right? I’m not even a huge gin lover usually but this was just really light and delicious. My friend Kery who owns Seersucker with her boyfriend (and chef of the place) Rob, said it was named after Levon Helm, the drummer and backing vocalist for The Band. I’d never heard of him, which surprises me but then doesn’t because Kerry also had put this band Big Star on the restaurant playlist and I’d never heard of them either. Apparently, though, they’re this hugely influential rock band from the 70s. The lead singer was Alex Chilton who I’d heard of, but just not Big Star. And when I listened to them on Spotify the next day, I realized they did the original song that That 70s Show theme song was based on. Ah, trivia Fridays. 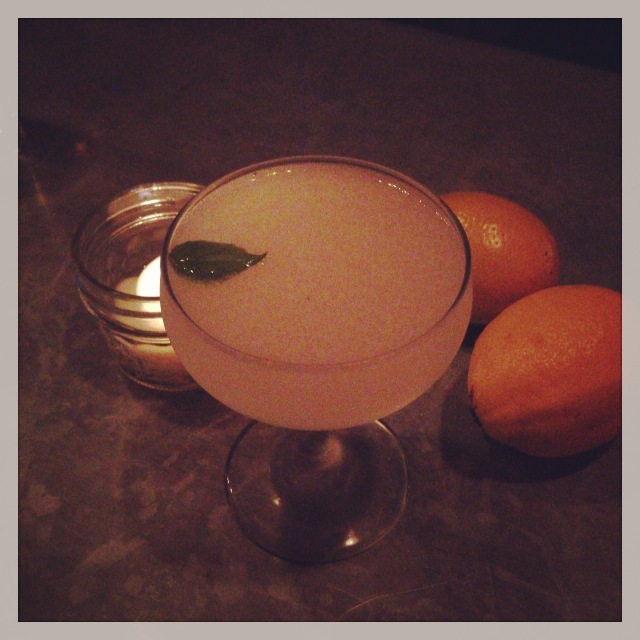 So grab this gimlet and listen to Levon. Happy weekend, everyone! 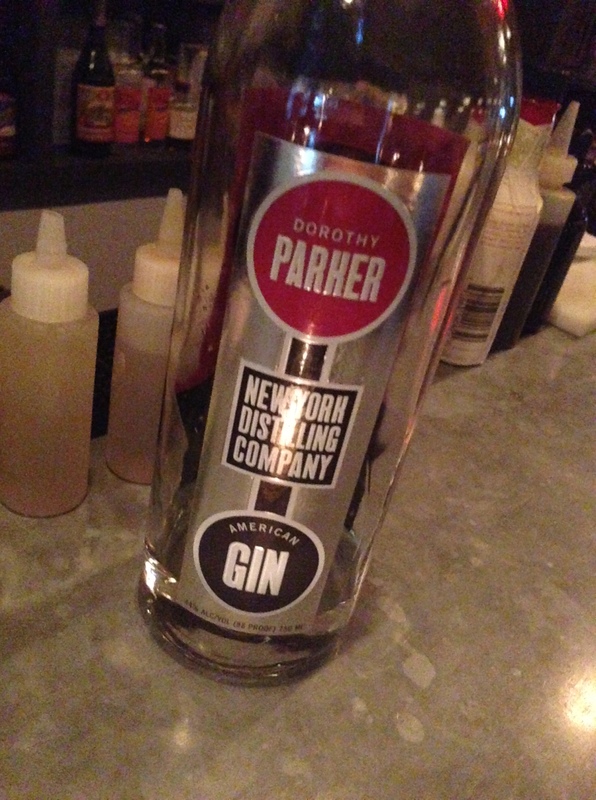 this is the Dorothy Parker gin – well-deserved, DP! Tags: basil, big star, cocktail, cocktails, dorothy parker, food & drink, gin, levon helm, seersucker. Bookmark the permalink. Ah, I’ll have to try this. I loved, love Levon Helm and The Band. His voice on The Night They Drove Ol’ Dixie Down is classic and haunting. Saw them live several times in the ’70’s. Think I’ll put on some Band now. Thanks. Band wine? Gritty Syrah. I love this flavor combo. There is a local Grape chain here that makes a perfect Fresh Basil Lemondrop martini. The basil just kicks the sweet back enough to add depth to it. Love basil in a drink!